Diversified Financial Advisors, LLC in partnership with Financial Finesse, the leading provider of unbiased financial wellness programs in the US, provides an innovative, cost-effective way for advisors to differentiate themselves as they meet the needs of plan sponsors today. 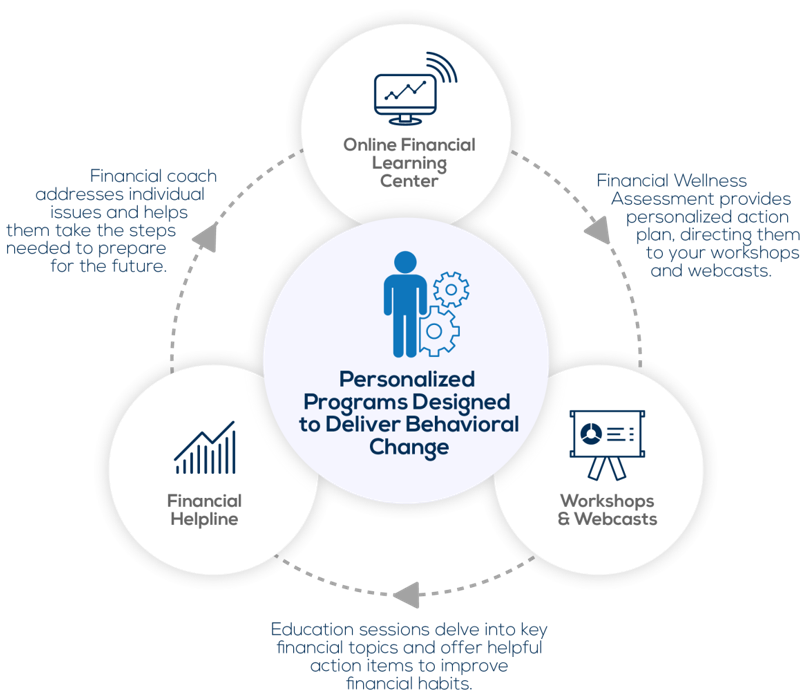 With turn-key and holistic financial wellness programs at your disposal, you can drive deeper conversations with plan sponsors by delivering a true financial wellness benefit that ultimately achieves better participant outcomes without draining your valuable time and resources. Download the full brochure online. Diversified Financial Advisors, LLC chose Financial Finesse because it is the leader in the financial wellness industry, with a behavioral change model that addresses all participants’ financial issues in order to increase their financial health and provide them with the tools and resources they need to become financially secure. Financial Finesse has historically worked with large companies to roll out robust financial wellness programs for their entire workforces. Now the same employee working for a mid-sized tool & die shop for example, can get the same benefit that a Fortune 500 employee has through their employer. Through Financial Finesse’s award-winning, patent pending platform, employees receive a personalized Financial Wellness Assessment that identifies their most significant financial vulnerabilities and provides a personalized plan with steps they can implement immediately. As an option, plan sponsors can engage Financial Finesse’s 15 CERTIFIED FINANCIAL PLANNER™ professionals to provide employees with ongoing financial coaching and guidance, allowing them to work with their own financial advisor at their own convenience, whenever they need expert guidance and support. Our Advisors have access to a library of content and materials to deliver on-site events should a plan sponsor request this approach.